The season of Christmas is when Christians around the world celebrate the birth of Jesus Christ, the Son of God. The word Christmas comes from the old English name Cristes Mæsse meaning Christ's Mass (or Christ's Holy Communion). The church colour for the season of Christmas is white (or gold) and is used for the light, joy and purity of Christ. 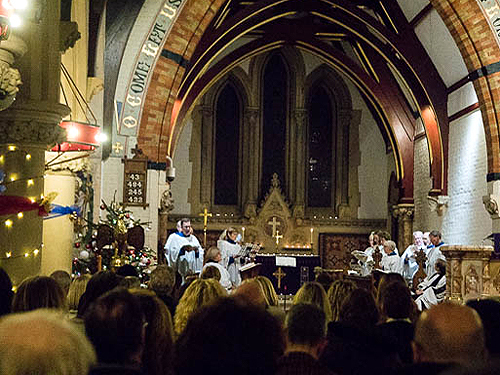 Christmas services at St James's include a Carol Service the Sunday before Christmas, Christmas Eve 'Midnight Mass', Christmas morning Holy Communion and Parish Communion. 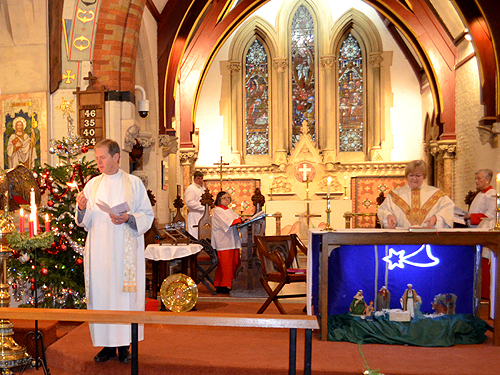 There are also two very popular Children's Carol Services on Christmas Eve afternoon. The church is always beautifully decorated at Christmas with a Christmas tree, Advent wreath, many candles and appropriate flower and green arrangements. 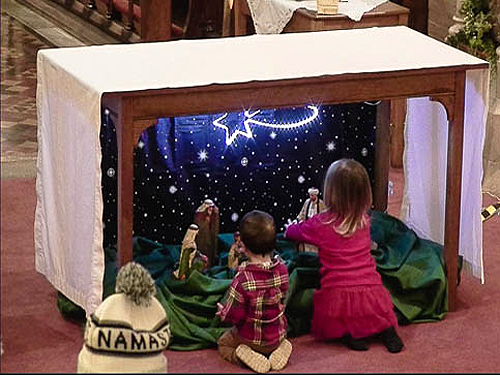 Our crib and Nativity figures are the focus of attention for many of the services, especially for the children.